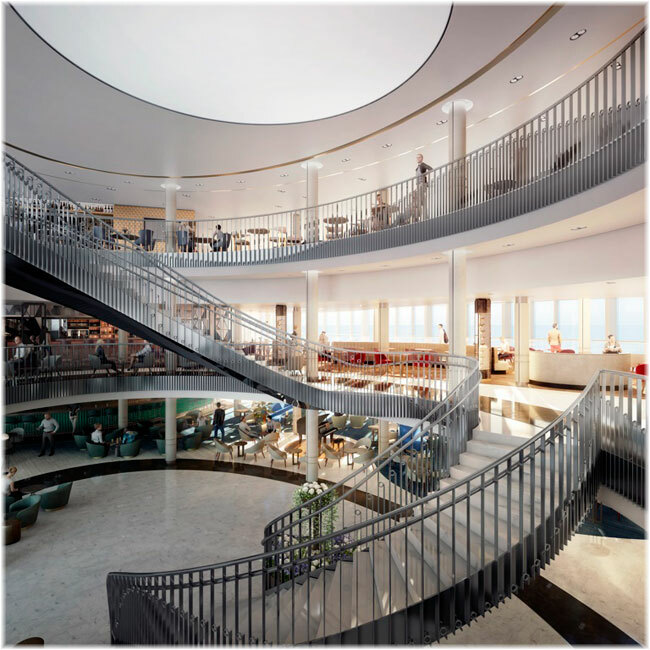 Having recently announced the name of its latest new ship, P&O Cruises has just unveiled details of Iona’s impressive centrepiece – a stunning Grand Atrium with uninterrupted panoramic views of the sea, framed by glazed walls stretching three decks high. P&O Cruises marked an important construction milestone last week as it cut the first piece of steel for its newest ship being built at the Meyer Werft shipyard in Papenburg. The steel cutting ceremony was attended by P&O Cruises senior vice president, Paul Ludlow; Carnival UK president Josh Weinstein and managing director of Meyer Werft, Tim Meyer. 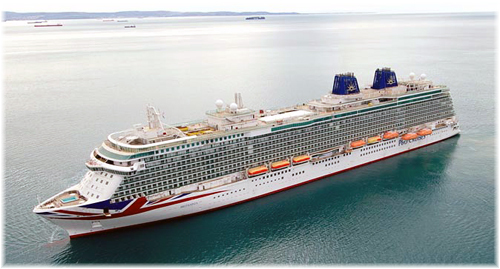 The P&O Cruises Grand-class cruise ship Ventura has just completed a two-week docking at Damen Shiprepair Brest. Launched in 2008, this was the first visit of the 290-metre, 116,000 DWT vessel to the yard, where she underwent a regular docking together with a range of maintenance works. P&O Cruises is giving event organisers and delegates the opportunity to share a few laughs together with a record number of three-and-four-night comedy cruises in 2018 and 2019. Well-known names Jimeoin, Harley Breen, Claire Hooper and Matt Okine are just some of the 70 comedians who will headline a total of 72 dedicated comedy cruises between now and December next year. From April 8, 2019, Aurora will join Arcadia and Oriana as a ship exclusively for adults, offering a relaxed way of life, stylish surroundings and a variety of bars and lounges for socialising. Carnival Corporation & plc today announced it has signed a shipbuilding contract for a second next-generation cruise ship for its P&O Cruises brand with leading German shipbuilder Meyer Werft GmbH that is scheduled to be delivered in 2022.